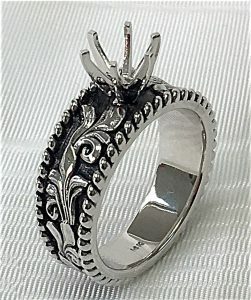 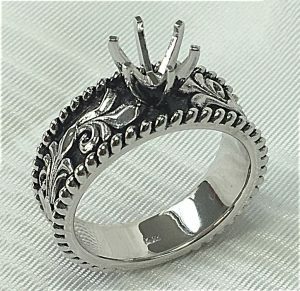 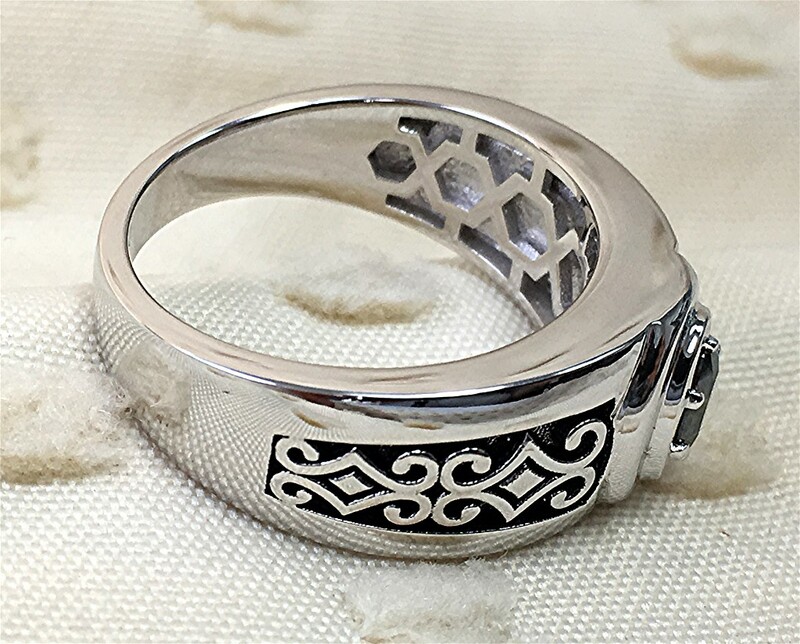 This semi mount is made for 6.5-millimeter center diamond with floral design and rope edges. 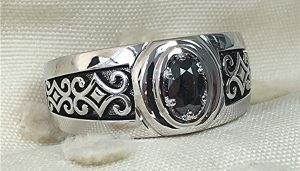 Black patina is used to highlight the indicates of the design. 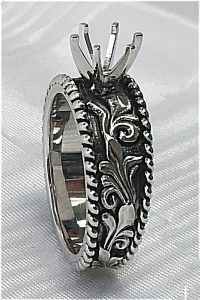 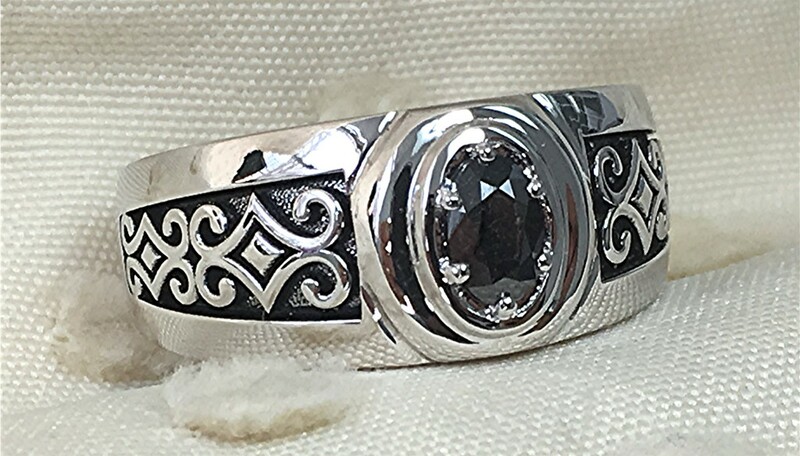 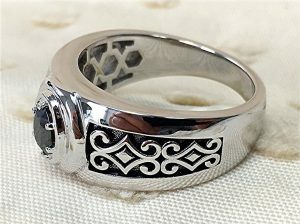 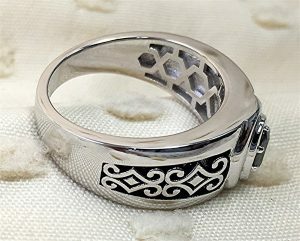 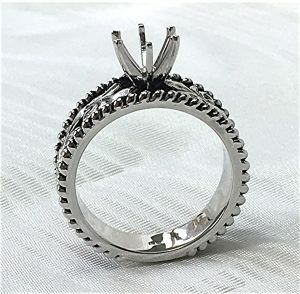 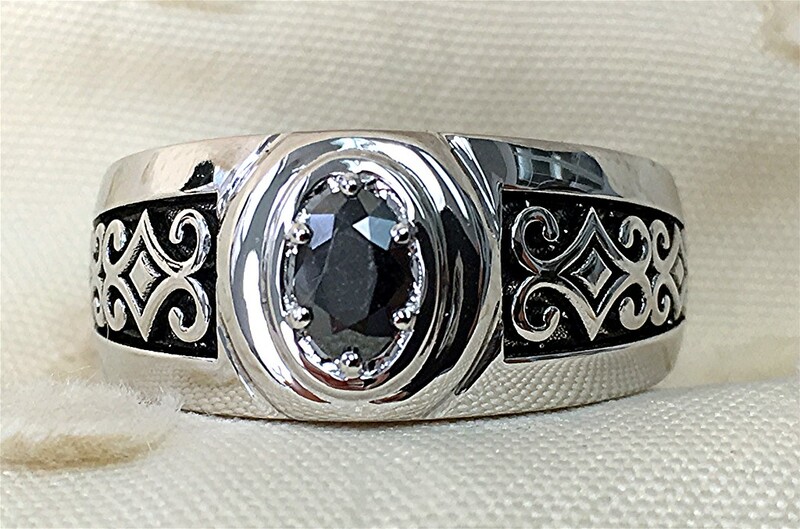 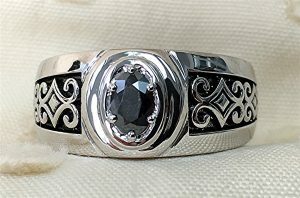 14k white gold ring with 6x4mm oval center black diamond. 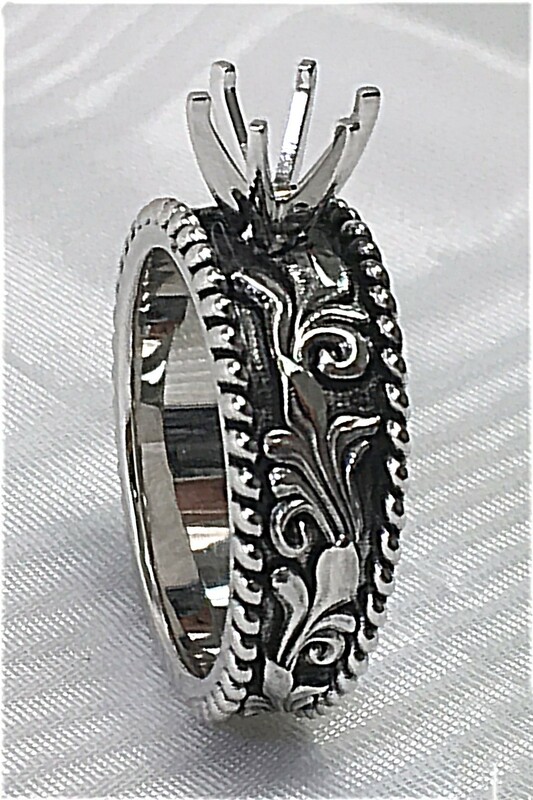 scroll works on the shoulder are highlighted with black patina.